Some of the tastiest things I’ve ever made have been a result of being lazy and not wanting to go to the store. It forces you to get creative with what you have in the fridge or pantry and before you know it, your new favorite meal is made. Honey mustard is nothing out of the ordinary and neither is fresh herbs. Any time I can get my hands on fresh herbs I take full advantage. It’s nice to have store bought dried herbs but they don’t compare to the real deal freshly picked. For this recipe I used thyme and oregano. I have totally been feeling the oregano lately. It has such a deep earthy taste and really makes a dish taste hearty. 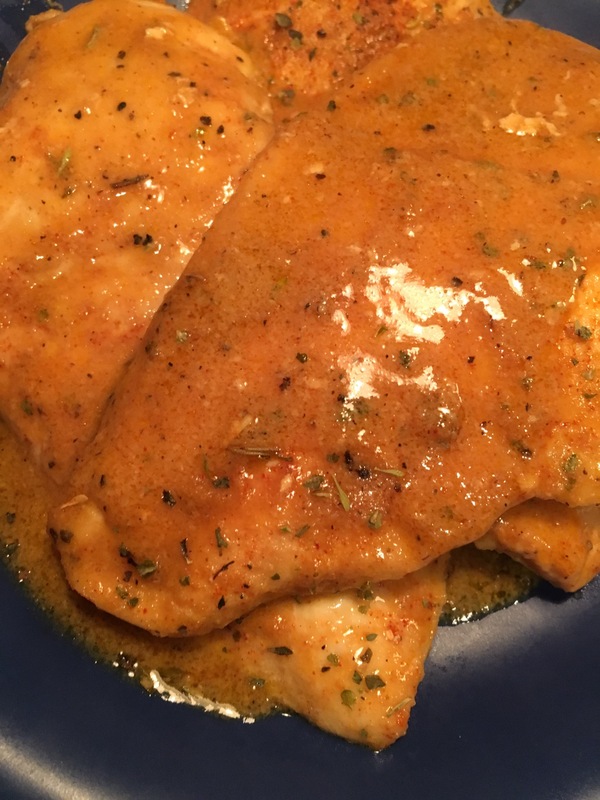 This recipe was made because I only had chicken cutlets, some condiments and fresh herbs. Chicken cutlets are a perfect blank canvas for creativity. You can season it up, sauce it up, grill it up or bake it up. The freedom with cutlets is endless. Honey mustard is a little too sweet for some people and if that’s how you feel, simply add more mustard. Or use a Dijon mustard. Both are equally delicious. Also, remember that mustard is something you should always have on hand in the pantry! Mixture of 1 tsp salt, 1 tsp black pepper and 1 tsp of garlic powder. Season both sides of your cutlets with our salt pepper and garlic mixture. Heat your oil in a large skillet over medium high heat. Add your cutlets and cook 3-4 on one side and the same on the other. You want to get a nice golden brown color on your chicken. Once they are cooked, turn the heat off. 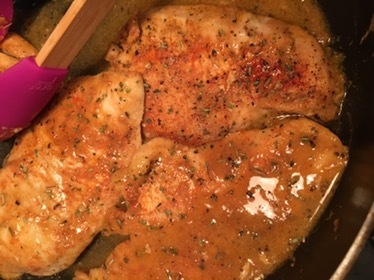 Add your honey mustard right to the skillet and mix in with the juices from the chicken. If it is dry, add some more olive oil. Once our honey mustard has become liquid like, add your fresh herbs and coat all of your chicken. Let the chicken sit in the skillet with all of the seasoning for 5 minutes and serve!